In American political parlance North Dakota would be labeled a “red” state. The Governor’s office and two-thirds of its Congressional delegation are held by Republicans. The composition of the North Dakota Legislative Assembly is about 65% GOP in the House of Representatives (69 of 94 delegates) and nearly three-quarters of the Senate (35 of 47). Yet, curiously, the Peace Garden State has been the only American jurisdiction to have a state-run bank, which even most Democratic Party-led legislatures have never campaigned for. How did this happen? The strains of agrarian populism and the progressive movement that swept the Plains states in the late 19th and early 20th centuries were an attempt to advance democracy and a fairer deal for farmers and workers who were often beholden to far-off corporate and financial elites. 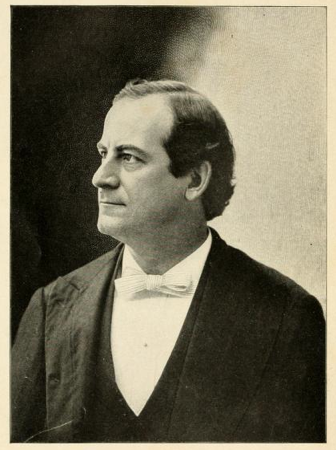 Stirring speeches such as the great “Christian Democrat” William Jennings Bryan’s “Cross of Gold” from 1896, and movements to start cooperative organizations and agricultural combines, were attempts to give ordinary people more say in civic affairs. 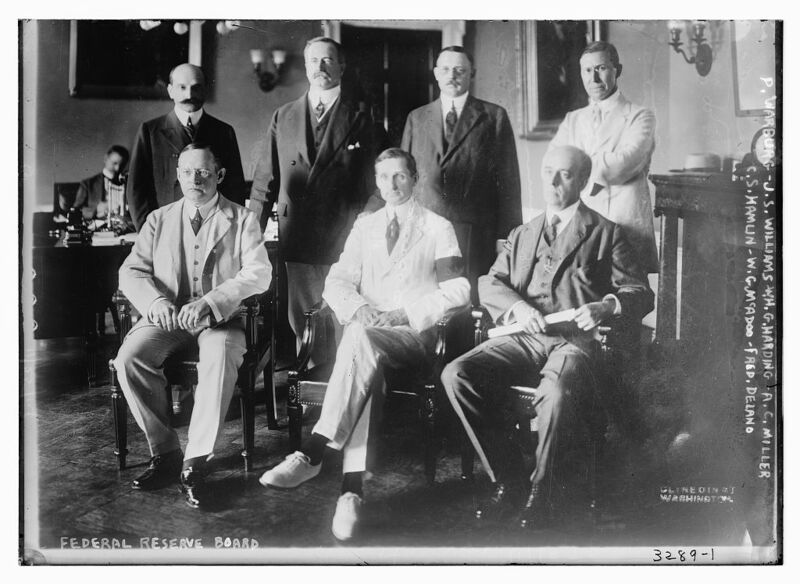 In North Dakota, in 1915 a coalition of progressives, reformers, and cooperative backers formed in concert with more radical elements, such as socialists formed the Nonpartisan League (NPL). By the end of the Great War the NPL was able to take the reins of power in the state. The NPL worked to reform, reorganize and expand some state services such as education, health care, and more oversight of corporations. One of the great concerns that populists had throughout the agrarian West in this era was that banking interests – many of whom were capitalized in the East – were not receptive to local concerns and made predatory loans. 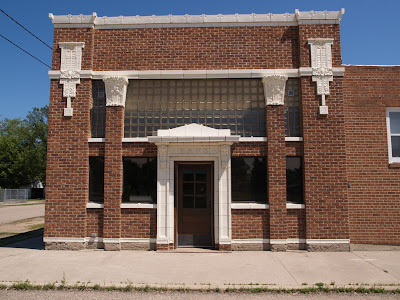 The NPL funded a bank, the Bank of North Dakota (BND), which would operate more like a credit union, and assist the farmers and common people of the state, so that where the market failed to address issuing credit to such small requestors, they could more likely get access to capital. Although the NPL’s political ascendency ended soon after the BND was created, the pro-business opposition Independent Voters Association was never politically able to eliminate the new bank, since it became, and remains, popular throughout North Dakota. We’re all very familiar now with the “too big to fail” (TBTF) part of the banking industry in the United States, the practices of which were an important contributor to the Great Recession. What may not be as widely reported is that the share of the financial sector controlled by large banks is increasing. According to the 2011 Annual Report by the Federal Reserve Bank of Dallas (Closing the Road to Prosperity: Why We Must End Too Big to Fail Now), the five largest banks in the nation held more than half (52%) of the country’s assets, as compared to 32% held by other large and medium –sized banks. That left only 16% for the remaining 5,700 small institutions. We need small banks and credit unions to thrive not only so there will be more choices in banking, but also because the mission of community-based financial institutions has always been intrinsically tied with their towns, regions, or metropolitan areas. Like other kinds of small businesses, local and regional banks’ fortunes are tied to whether citizens support the local economy. Public banks would give states a steady institution to deposit revenue and make investments on behalf of the public. Although setting up a public bank could involve at least a temporary disruption to the current banking scene, a state could allocate money to seed it from idle funds such as “rainy day” accounts, or budget allocations. North Dakota requires all state assets to be deposited into the BND which provides ongoing capital. If another state places money in private banks which may be headquartered in another state, any profits may be distributed hundreds or thousands of miles away. Operating its own bank means that the state doesn’t accumulate millions of dollars annually in borrowing fees as all other states do. It also means that revenue from taxes is used more efficiently and stays in the state. BND is primarily interested in arranging loans just as private banks are. As with any kind of bank, when the financial institution issues credit it hopes to profit by the difference in interest and any transaction fees the borrower pays in order to receive the sum it would like. In private banks, shareholders will receive the profits from such transactions, or perhaps the bank will use the proceeds for other investments it pursues. Credit unions would likely share the profits through its members by dividends. In a state bank the public coffers will profit, which can lead to a variety of potential outcomes. The state can use the funds to supplement public services, reduce the effect of a budget crunch in an economic downturn, or return dividends to the taxpayers. 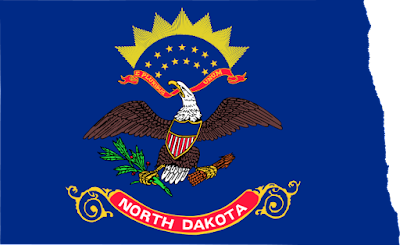 BND prevents North Dakota’s government from needing to borrow from big (or any sized!) banks, as it funds projects through its own bank. BND does not compete with local private banks, but instead helps to keep them sound by helping them arrange loans with the objective of putting financial resources to direct work in that state. Local bankers are increasingly the only source of credit for small businesses and community projects. They are also the ones with knowledge of what has been successful, and with ideas of what kinds of commercial activity can help the area through their loans and investments. BND also plays a role that is not performed by the Federal Reserve Bank system. The Federal Reserve serves the role that central banks in other nations do – it sets interest rates nationally, regulates the currency supply, determines the U.S. monetary policy, and sells bonds on behalf of the government. But the Fed also works to serve the interests of the private banks which are customers of its services. That means that private banking needs and desires, especially the concerns of TBTF banks, are very important considerations when the Fed sets policy. Those policies may not end up aligning with what is best for the public or smaller banks. Another key difference between a state bank and private banks is that the administrators of the BND are paid salaries similar to other members of the civil service or state agencies. They would not receive the kinds of bonuses and payments the public is now quite familiar with in private banking. The bonuses large banks were paying executives prior to the Great Recession encouraged the kind of reckless and imprudent transactions that put the economy and financial system at risk. A public bank would also be subject to the same kind of public records transparency that other state agencies are obligated to operate under. The private banking industry is under far less public scrutiny, as we have come to regret. If we want to aid local and state economies with a sound, not speculative, financial system that is beholden to public interests and the common good, we should support efforts to create and fund additional state banks on the Bank of North Dakota model. Kirk Morrison chairs the National Committee of the American Solidarity Party.